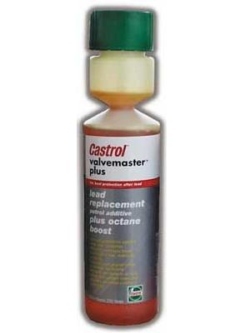 Established in 1899 , orginally as CC Wakefield , Castrol launched their first lubricant for cars in 1906 and have been at the leading edge of motor technology ever since . Choosing the right oil for your veteran , vintage or classic vehicle is essential for ensuring peak running condition an maximum wear protection for your engine . To make this decision easier Castrol has introduced their range of famous oil brands , but now using the latest technology , low detergent base oils and in the appropriate viscosities on which veteran , vintage and classics where disigned to run . 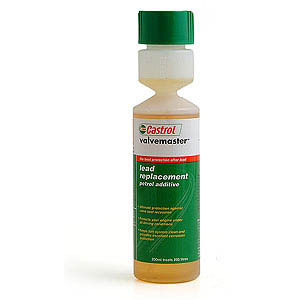 Historically many motor manufactures recommended Castrol by name in their original vehicle handbooks and now todays´s owners may continue to follow those original recommendations . Castrol Classic XL 20w / 50 is a low detergent traditional multigrade engine oil , ideally suited to older technology modern classics . Compared to modern engines using sophisticated oil pumps to deliver higher pressure with low viscosity oils , modern classic vehicles have wider tolerances and require higher viscosity multigrade oils to operate at the optimum performance level . Castrol Classic XL 20w / 50 offers exellent oil consumption and a very high level of engine wear protection . 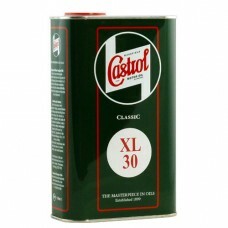 Castrol Classic XL 30 is a traditional , low detergent SAE 30 monograde engine oil primarily for Pre 1950 veteran , Vintage and Classic Cars where an SAE 30 lubricant is specified . These engines are often in an unrestored or unknown condition and it is essential that a low detergent formlation is used to ensure that engine deposits which may currently seal the engine are not loosened , causing oil leaks or blocking of the oilways . Castrol Classic XL 30 offers excellent cold temperature starting and improved oil pressure at high operating temperatures . It is also suitable for gearbox applications where an SAE 30 oil is specified . For Pre - 1950 Cars - and Pre - 1970 Motorcycles . Castrol Classic XXL 40 is a traditional , low detergent , performance monograde SAE 40 mineral oil . It is particularly suitable for Pre 1950 Veteran , Vintage and Classic Cars where an SAE 40 engine and gearbox lubricant is specified . Castrol Classic XXL 40 is recommended for many single and multi-cylinder Pre 1970 Classic motorcycles for engine and gearbox lubrication . 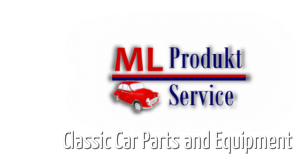 For Pre - 1950 Performance Cars and Pre - 1970 Motorcycles . 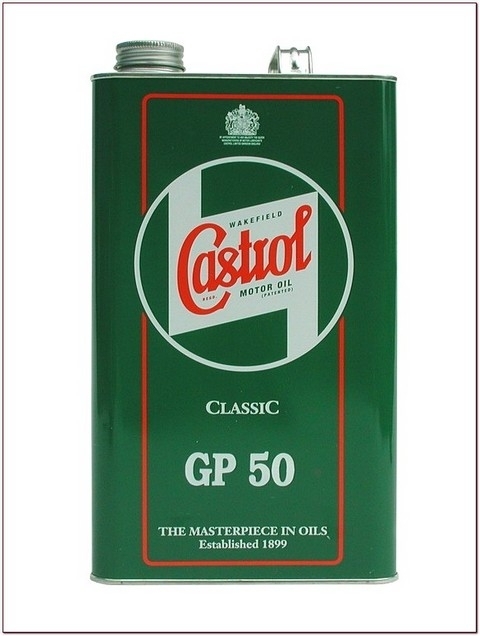 Castrol Classic GP 50 is a traditional low detergent SAE 50 monograde engine oil , particularly suitable for Pre 1950 performance cars and classic motorcycles . Castrol Act>Evo 2T is a high quality 2-stroke engine oil for modern engines. It is designed to provide continuous protection against the build up of carbon deposits on the engine and spark plug during use by its Deposit Protection Formula, keeping them clean to ensure fast and reliable starting. 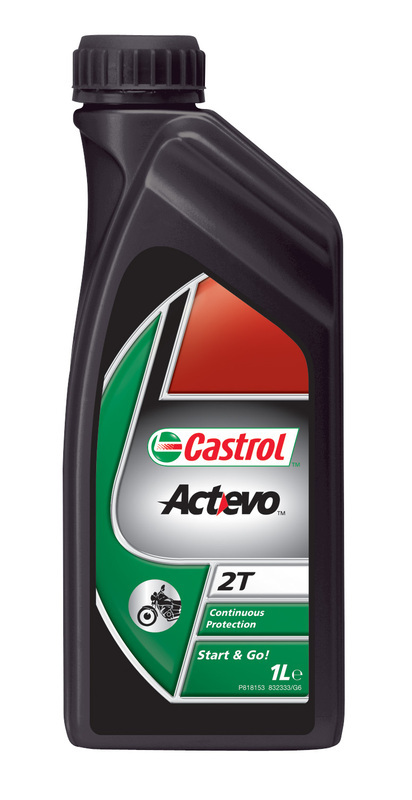 Castrol Act>Evo 2T is suitable for use in all 2-stroke motorcycle and scooter engines from both European and Japanese Manufacturers. It is designed for both oil injection and pre-mix lubrication, as per manufacturers' instructions, up to a fuel to oil ratio of 50:1. Castrol Power 1 TTS 2T is advanced, fully synthetic 2-stroke engine oil specifically developed for highly stressed engines. Its Power Protection Formula is designed to allow maximum engine performance whilst maintaining a superior level of protection, high levels of engine cleanliness and reduced visible exhaust smoke. 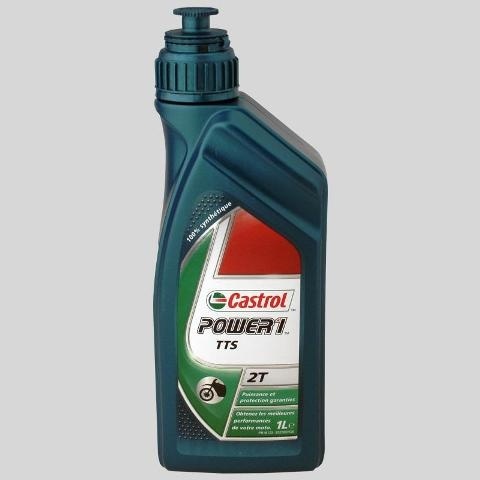 Castrol Power 1 TTS 2T is suitable for all modern, high performance 2-stroke motorcycle engines and is designed for both oil injection and pre-mix lubrication, as per manufacturers' instructions, up to a fuel/oil ratio of 50:1. Tested and endorsed by the Federation of British Historic Vehicle Clubs . This unique phosphorus based formulation provides the best possible protection against damaging metal to metal contact between the valves and the soft valve seats - the job currently done by lead . Without such protection your engine may experience valve burning , loss of compression and engine failure .